I have been throwing since 2013 when my boys bought me a session with Dan Mosley (Woodend Warriors) for Mother’s Day. I am mum of 2 amazing boys who are also throwers! 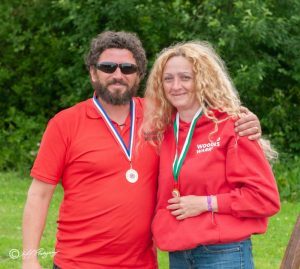 Zach and Cam also started throwing in 2013, at age 13 and 9 respectively and have competed in national throws, the 2015 Eurothrow hosted in the UK, Viking Charity Throws and the 1st KATTA UK Double Bit throw in 2018.